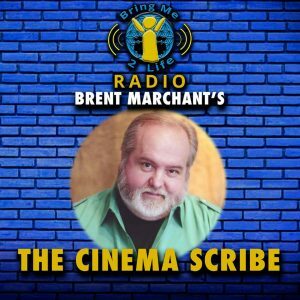 Tune in for the latest Cinema Scribe segment on Bring Me 2 Life Radio, Wednesday, December 6, at 12:45 pm ET, available by clicking here. And, if you don't hear it live, catch it later on the podcast! As a lifelong movie fan and longtime student of metaphysics (with an emphasis on conscious creation/law of attraction principles), I’m the author of "Third Real: Conscious Creation Goes Back to the Movies," "Consciously Created Cinema: The Movie Lover's Guide to the Law of Attraction" and the award-winning "Get the Picture?! : Conscious Creation Goes to the Movies." In addition, I'm Movie Correspondent for The Good Media Network, providing monthly review segments to its Frankiesense & More show and weekly Movies with Meaning posts to the network's web site. My additional writings include contributions to Smart Women's Empowerment, New Consciousness Review, The HAPI Guide, Library Journal, New Age News, BeliefNet, VividLife and Master Heart Magazine. Hear my additional radio reports on Bring Me 2 Life's twice-monthly Cinema Scribe segments and on New Consciousness Review radio's quarterly Reviewers Roundtable. "Third Real: Conscious Creation Goes Back to the Movies"
"Consciously Created Cinema: The Movie Lover's Guide to the Law of Attraction"
Official web site of "Third Real"
Official web site of "Consciously Created Cinema"
Official web site of "Get the Picture?!" Copyright © 2011-17, by BrentMarchant. All rights reserved.. Powered by Blogger.